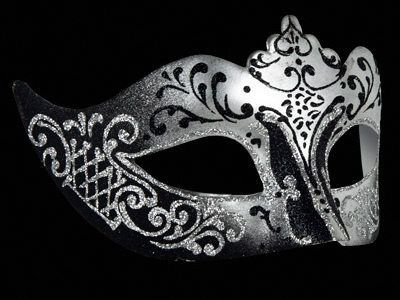 Ensure your look is completely luxurious, whilst remaining ahead of all the latest party mask trends with this beautiful Stella Masquerade Mask - Silver Black. 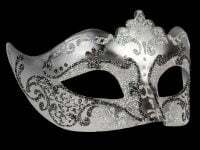 Designed in the seasons must-have party colour of black & silver, this gorgeous mask features a delicate & ornate silver & black base with hand painted black & silver glitter swirls that glisten beautifully. 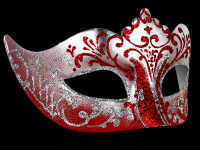 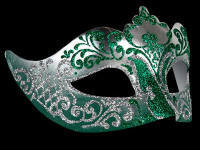 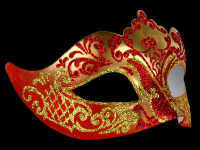 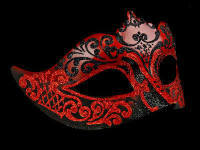 If you're a romantic at heart, then this fabulous mask is the perfect way to express your elegant sense of style. 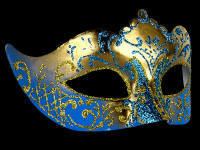 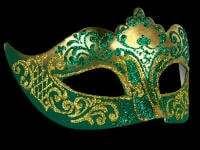 Delightful masquerade party mask for the woman who cares about style. 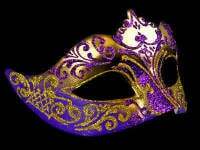 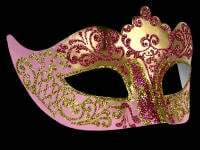 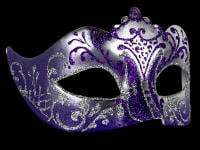 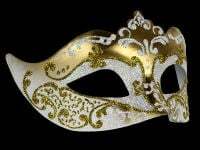 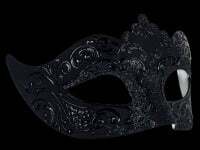 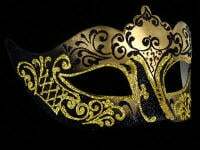 With black satin ties these masquerade masks are perfect for your next masquerade party, wedding, prom night or Venetian masked ball.